I was looking at another board and a question of a FEL leak down came up, I recommended the rebuild of the control valve, that and led to everyone jumping on the band wagon of adding STP to UDT on their tractors, anyone here using STP in their UDT or Engine oil, and if so why? This sounds scary to me. Adding thickeners just masks a problem, and who knows what the STP additives will do to the internal rubber parts? Some additives will swell the seals, which might be good if you want to stop leaks but it will cause excessive wear on rubber parts that are still in good condition. The other problem with a 'universal' cure like STP is, well, just that, it's UNIVERSAL. If you cut your finger why would you also put a band-aid on your elbow, knee and a variety of other places? That would be silly. 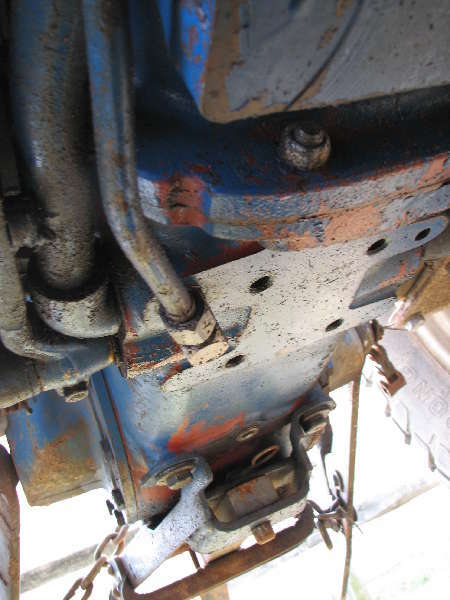 So then why would you put in something to cause the seals in the pump, 3PTH, backhoe and bucket to swell just because you have a couple of bad seals in the FEL lift arm cylinders? Doesn't sound like very good advice to me. I have to think it would turn the oil into gear oil ASAP. STP is 60 year old technology that was useful when unsophisticated motor oils broke down within a few hundred miles. What would STP do to those oil bathed brakes? Or internal clutches and differential locks? Put it in you engine if you must..... and don't get upset if it doesn't start in cold weather, but leave it out of your HST. We had a recent thread going where a normally bullet-proof Yanmar Transmission was ruined and had to be rebuilt. The suspected cause? Someone tried to a save a couple bucks and fooled around with improper hydraulic fluid. If you developed an additive supported by uncontested scientific proof that it improved some fluid, would you sell it by the tanker-load to the fluid people, or would you put it in little retail bottles? If you visit fleet-maintenance shops where credentialed professionals take care of hundreds of high-cost trucks, buses, cop cars, aircraft, ambulances, whatever, do you see 40-gallon drums of these additives? I would not do it and did not do it, I rebuilt mine. I guess you know where to get your advice from now on too. I don't remember who he was but some race car driver from the past used to sell STP on the TV ads. It probably worked fine in his race car when the oil temps were 300 degrees, but sit a can of it on your tractor seat than open it on a morning when it is below zero. I don't think you will put it in anything that has to move when cold. Frank.